Let’s put this right out front: I was the only one in the house looking forward to this week’s French Fridays with Dorie offering. As many recipes as I’ve tried, we’re just not cold soup people around here. Even though I’m usually with the rest of the family on this one, I actually thought this cold soup looked good. Maybe because it’s not so much a soup as fruit in pureéd fruit. It sounded light and refreshing — perfect for this time of year. 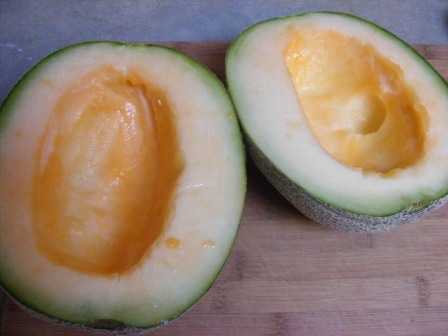 The star of this recipe is cantaloupe, and Dorie advises the chef to use a “dead-ripe” melon. This is a great time of year for melons, so I went to the store to get one. As someone who grew up in the Midwest and Lancaster County, Pennsylvania, I know how to pick a melon. I looked for one without a lot of green beneath the webbing that was heavy for its size with a little give on the flesh and the stem end and that smelled deeply of fresh, ripe cantaloupe. I chose a melon that had all these qualities and was confident it would be ripe, juicy, and flavorful. No, that’s not a trick of light. The flesh of that melon is so pale it’s almost white. I tried a bite of it, and it had almost no flavor whatsoever. So, back to the store I went, anemic melon in hand. The lady at the service counter was very polite and apologetic, and we headed over to the produce department to see if we could get some help. The young man stocking sweet corn looked like he couldn’t have been working there (or anywhere) for more than a few weeks, but he listened to my plight, walked over to the melon bin, looked at the melons for a moment, then picked one up, hefted it in his hand, and said, “I’ll be right back.” He disappeared into the backroom for a minute or two, then emerged with the cantaloupe he had chosen, cut in half and wrapped. I took it from him and looked at the flesh. He had chosen a beautiful melon. So much for my years of experience. I had been shown up by a tattooed teenager, but I didn’t care. I now had the perfect cantaloupe in my possession. Back in the kitchen, I unwrapped the melon halves, dug out the seeds, then cut one half into melon balls, which I put in a covered container and stuck in the fridge. I sliced the other half of the melon, cut the flesh off the rind, and chopped it into large chunks. 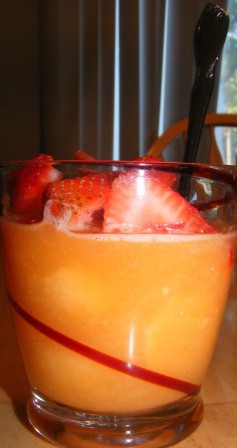 I put the melon pieces in the food processor and whirred it into a juicy orange pureé. I scraped the pureéd melon into a quart container and seasoned it with fresh lemon juice, sea salt, and freshly grated ginger. Then I tucked the pureé in the fridge with the melon balls. A few hours later, when I was ready to serve the soup, I divided the melon pureé among four rocks glasses. 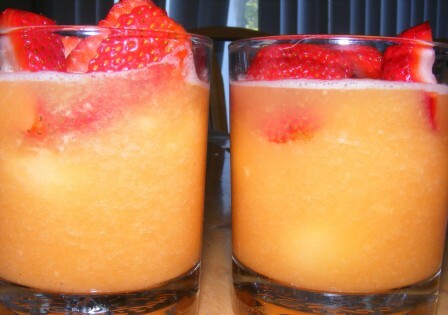 Then I added melon balls to the glasses and topped the soup with sliced strawberries. Even without the mint garnish, which I forgot, the soup looked great. I found the soup very refreshing. The natural sweetness of the melon balls and sliced strawberries was both tempered and heightened by the slightly savory pureé. The salt brought out the melon flavor, and the acid from the lime juice cut the sweetness just enough to make the soup seem like an appetizer rather than a dessert. The girls weren’t so enthusiastic. 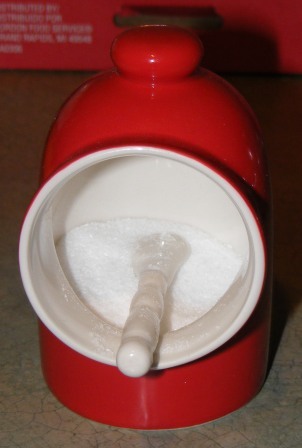 J and M liked the fruit but thought the salt in the pureé detracted from the natural sweetness of the melon and berries. A didn’t like it at all. She brought her glass out to the kitchen, saw the container of leftover melon balls and asked if she could have them instead. So, while I enjoyed this dish and would certainly eat it as a light, cool appetizer, I doubt if I’ll make it again just for myself. And other than this recipe, I’m still not entirely sold on cold soup. Breaking up is easy (and tasty) to do. This week’s French Fridays with Dorie recipe was another quick and delicious treat. Like the savory cheese and chive bread we made a few weeks ago, the dough for salted butter break-ups came together quickly. 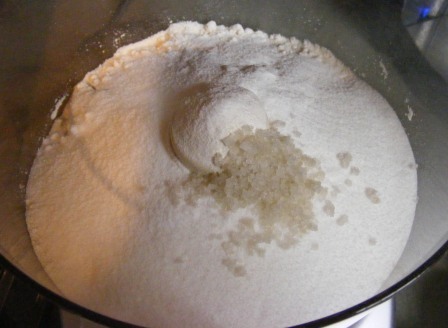 The ingredients — flour, sugar, sel gris (grey sea salt), unsalted butter, and water — are mixed in the food processor in a matter of seconds. 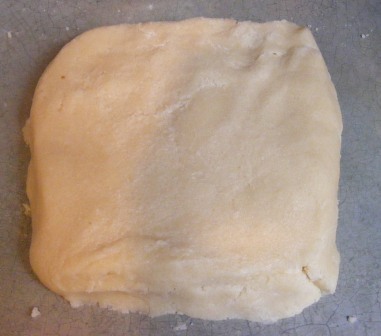 After mixing the dough, I pressed it out into a rectangle, which I then wrapped and refrigerated for a few hours. I rolled the chilled dough out between layers of plastic wrap to about 5 x 11 inches. Then I brushed the dough with egg wash and made a cross-hatch pattern in the dough à la peanut butter cookies. I baked the dough in a 350°F oven for about 30 minutes, until it was crisp on the outside and tender on the inside. After cooling the break-up, I placed it on the table whole, and we kept breaking off pieces all evening as we passed the table. I expected it to be like a thick cracker, and the saltiness of it was certainly reminiscent of homemade crackers I’ve made. 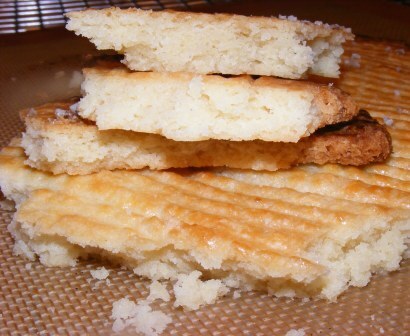 But the sweetness and thickness of it were definitely more cookie-like. I would call it more of a salty cookie than a sweet cracker. And neither of those descriptions may sound all that appealing, but trust me when I say this cookie/cracker was addictively delicious. So call it what you want. 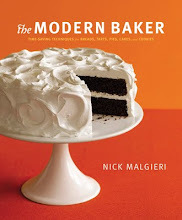 But definitely call me when you bake this recipe. I’ll be right over.